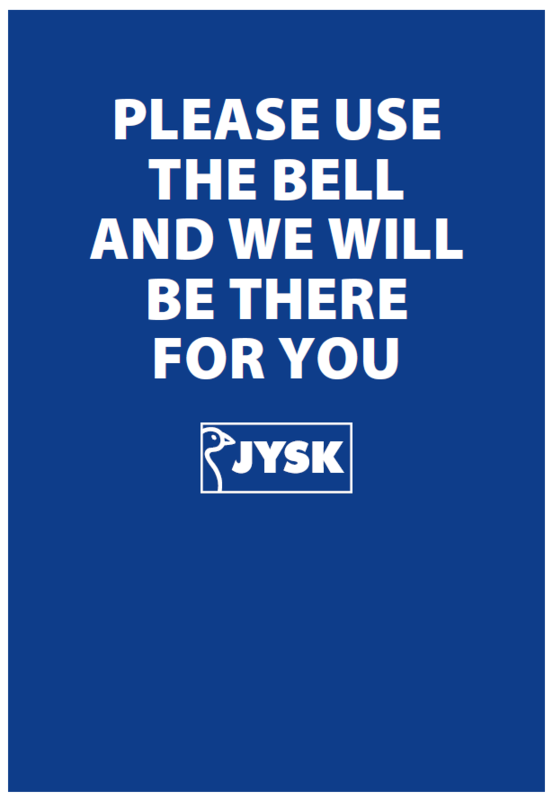 Flagpoles are a part of the total outdoor concept for a JYSK store and they are as well used to draw attention to the store from a long distance. The most common use of flagpoles is by placing 3 flagpoles together, forming a triangular shape. Window flags can be mounted on the facade where there are few or no ways of signaling that our stores are open. The pylon is used to draw attention to the store from a long distance. They are made in aluminum or polycarbonate mounted in a concrete base. LED lighting is used if the pylon is produced with light. When establishing signage on common pylons, the signage should fit the proportions of the space on the pylon – Follow the rules described on page 13 regarding logo dimensions. 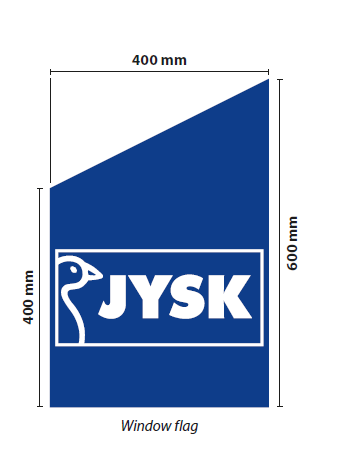 Whenever we use signs for navigation you should always place the JYSK logo with outline below the communication. SCM should themselves translate the wording to local languange.